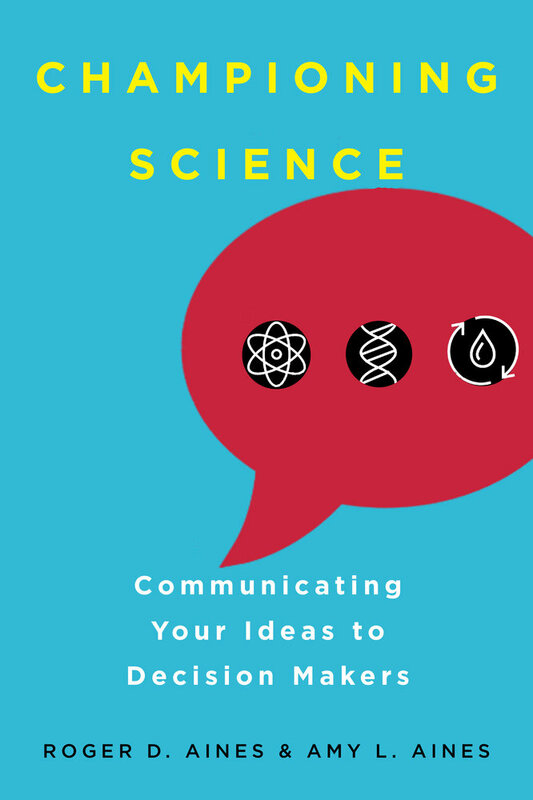 This blog post is reposted with permission from Roger D. Aines and Amy L. Aines, authors of Championing Science: Communicating Your Ideas to Decision Makers. 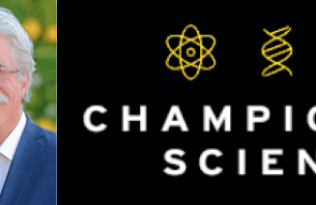 Today our book Championing Science makes it debut. 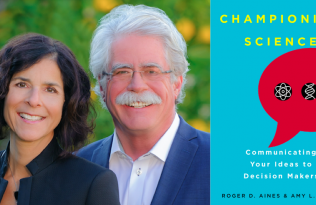 Roger and I wrote this book thinking that we would publish it ourselves. I vividly remember being on the Isle of Skye, exploring the remains of a 12th century cathedral at the Skeabost cemetery, when we got cell signal and the news that UC Press would be our publisher. We are honored that they believe in our work and the importance of helping scientists communicate with impact. I never imagined I would be a published book author. The book was Roger’s idea. He pitched it to me in February 2012 on a drive to the desert to visit my parents. I was intrigued and immediately recognized that the marriage of our of skill sets and decades of experience could make a difference to people who discover things that make the world a better place. All my career I have aimed to help leaders and technologists pursuing this purpose. Little did I know, a new professional mission was emerging for me. 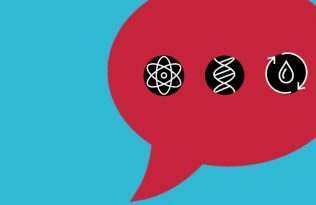 Yes, it took us years to write Championing Science. 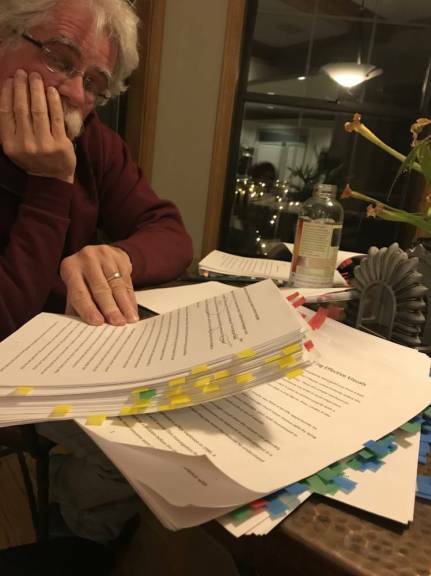 In between daily life, work, getting married, enjoying time with our family and friends, Roger’s colon cancer, losing both of his parents and my mother, we continued to interview, write, edit and discover that no matter how many times you proofread and edit, you miss something. Fueled by his favorite Gingerade Kombucha, Roger contemplates the abundance of edit tabs. 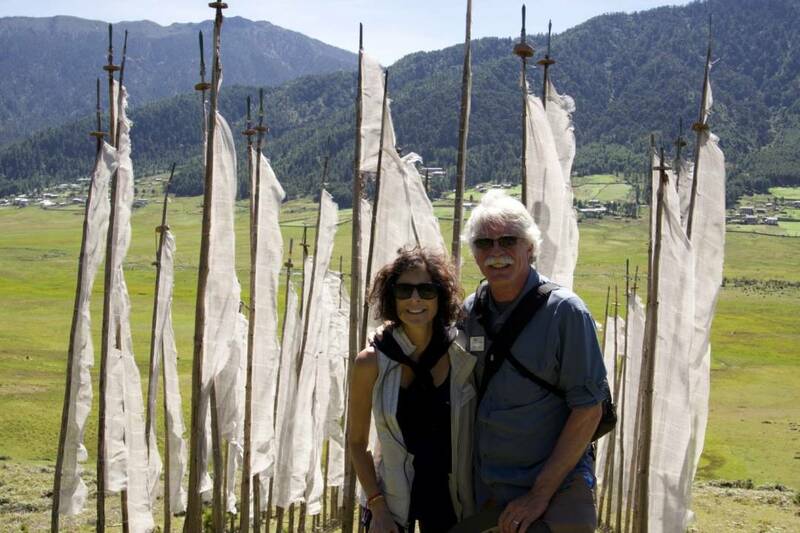 After finishing our manuscript and index, we celebrated by traveling to Bhutan on a fabulous Kingdom in the Clouds adventure with National Geographic. One of the best aspects of a NatGeo trip is the caliber of the local guides and the designated expert who are there to enrich your learning experience. Listening to David Scott Silverberg lecture about Buddhism, I was struck by his explanation of the term “bodhisattva”. I knew the word from a Steely Dan song lyric – Bodhisattva won’t you take me by the hand. What I came to appreciate was that it fundamentally means “teacher”. That day I knew that I wanted to dedicate the next decades of my professional life to teaching scientists how to get their message across. 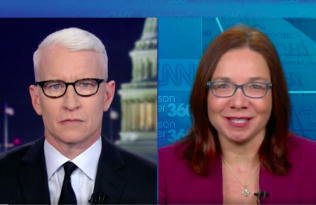 I want to help young scientists, especially, so that they can acquire communication, influence and relationship-building skills early in their careers. 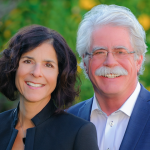 I look forward to traveling the world to lecture at universities with Roger, and to continuing to help scientists, engineers and technologists in startups and established companies compel decision makers to help advance their important work. Visiting the Phobjikha Valley, the winter home of the endangered black-necked cranes, while hiking with fellow National Geographic travelers in Bhutan. We are immensely grateful to our editor Lyn Uhl for her expert guidance and for the rigorous manuscript development process UC Press follows that helped us enrich our content. We were fortunate to have the hands of three experts to polish our manuscript. We appreciate the editorial talents of Dore Brown, Genevieve Thurston and Lisa Moore. Peter Perez and Chris Sosa Loomis have been invaluable in helping us spread the word. Roger D. Aines is Chief Scientist of the Energy Program at Lawrence Livermore National Laboratory. Amy L. Aines is Founder and CEO of Damianakes Communications. Throughout her career she has helped scientists and technologists communicate breakthrough ideas.